Open Skate is every Saturday beginning in October and ending in February (please watch the calendar for any changes to those dates or open skate cancellations). There may be times when an afternoon game or tournament runs later than planned. 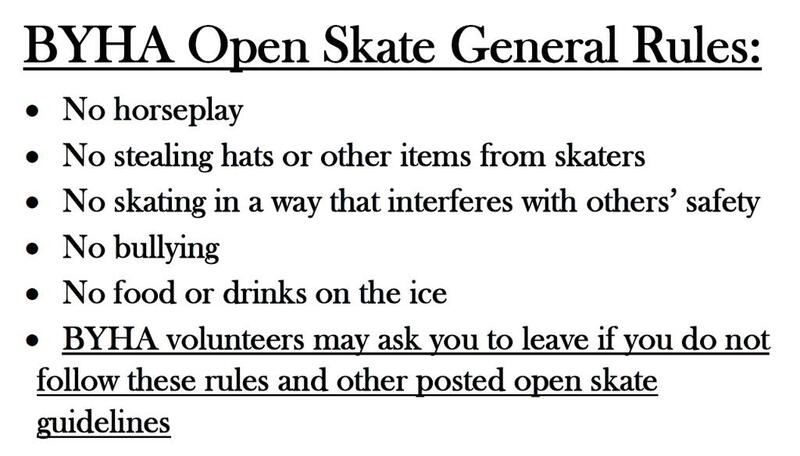 We apologize for any inconvenience this may cause, but we will have open skate once the game is done. BYHA Volunteers want all the kids to have fun on the ice while being aware of everyone's safety.